I have been advised that, based upon the first round of voting, Tort Talk has been nominated to participate in The Expert Institute's Best Legal Blog Contest in the Legal News category! Tort Talk was nominated by readers who filled out the nomination form on the blog contest website over the past 4 weeks. And so I say, "Thank you very much!" 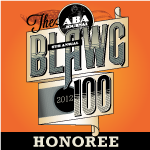 Voting has since opened to help nominated blogs earn a spot in the Expert Institute's Best Legal Blogs Hall of Fame. 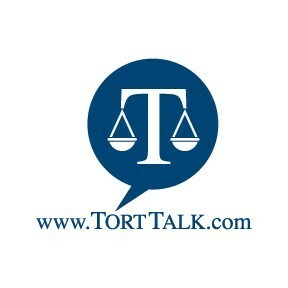 Here is the LINK to the voting page should you wish to vote for Tort Talk. Thanks again. In the case of Coughlin v. Massaquoi, No. 32 EAP 2016 (Pa. Sept. 28, 2017), the Pennsylvania Supreme Court declined to adopt a bright-line rule of predicating the admissibility of a person's blood alcohol content (BAC) on the existence of independent corroborating evidence of intoxication. Rather, the Supreme Court held that the admissibility of BAC evidence is within the trial court's discretion based upon the general rules of admissibility found in the Pennsylvania Rules of Evidence 401-403, and the trial court's related assessment of whether the evidence establishes the party's unfitness to act. This case arose out of a motor vehicle versus pedestrian accident. I send thanks to Attorney Joseph Hudock of the Pittsburgh office of Summers, McDonnell, Hudock & Guthrie for bringing this case to my attention. In the case of Starrett v. Coe, No. 3:16-cv-02272 (M.D. Pa. June 20, 2017 Saporito, M.J.) (Report and Recommendation, affirmed by Judge A. Richard Caputo under an Opinion dated August 9, 2017), it was held that third party Plaintiffs do not have a contractual relationship with tortfeasor’s liability carriers and, therefore, such Plaintiffs have no standing to assert a bad faith claim against a tortfeasor’s insurer and/or its adjuster. The district court judge agreed with Federal Magistrate Joseph Saporito's Opinion in this regard and, thereby, dismissed the bad faith failure to negotiate claim lawsuit filed by the Plaintiff. Anyone wishing to review Federal District Magistrate Judge Saporito's Report and Recommendations may click this LINK. 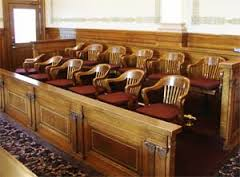 To review Judge Caputo's Opinion adopting Judge Saporito's decision, please click HERE. I send thanks to Attorney Lee Applebaum of the Philadelphia law firm of Fineman, Krekstein & Harris. 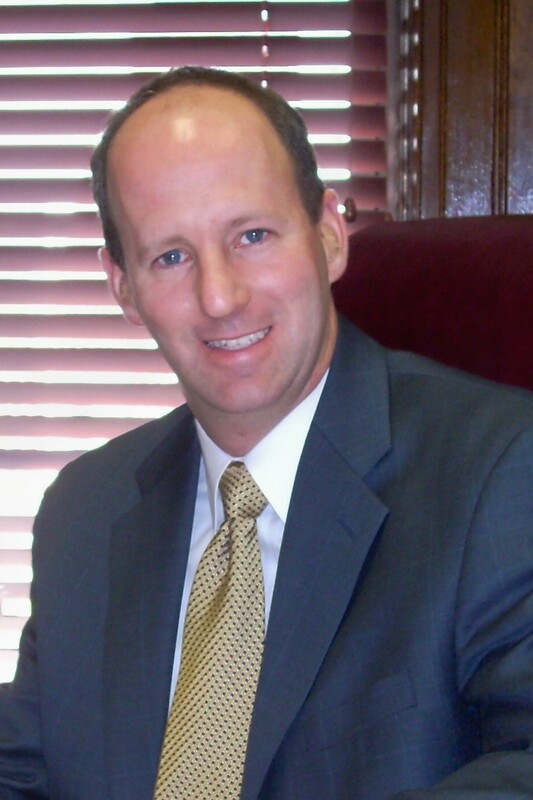 Attorney Applebaum is the creator and writer of the Pennsylvania and New Jersey Insurance Bad Faith Case Law Blog. Tort Talkers may recall that the Pennsylvania Superior Court caused a bit of an uproar recently with its decision in the case of Wilson v U.S. Security Associates, No. 2017 Pa. Super. 226 (Pa. Super. July 18, 2017 Dubow, J., Ransom, J., Platt, J.)(Op. by Platt, J.). In Wilson, the appellate court granted a defendants' motion seeking judgment notwithstanding the verdict with regard to the punitive damages award under a rationale that the trial court improperly allowed the Plaintiff to reinstate a punitive damages claim after the expiration of the statute of limitations. On September 26, 2017, the Pennsylvania Superior Court withdrew that decision and granted an argument en banc on the issue. Click HERE to view that Order. Click HERE to view the Tort Talk post on the Superior Court's original decision. Note that the Link to the original Opinion no longer works as the Superior Court has withdrawn that decision and, therefore, took it down from its website. Updates to follow as this issue continues its way along the appellate ladder. I send thanks to Attorney Scott Cooper of the Harrisburg, PA office of Schmidt Kramer for bringing this Order to my attention. In the case of Reason v. Kathryn’s Corner Thrift Shop, 2017 Pa. Super. 266 (Pa. Super. Aug. 17, 2017 Solano, J., Lazarus, J., Stevens, P.J.E.) (Op. by Solano, J. ), the Pennsylvania Superior Court ruled that the trial court properly entered summary judgment in favor of Defendants in a matter arising out of a case in which the Plaintiff was involved in a fight with a third party in the Defendant’s store. The appellate court agreed with the trial court that there was no evidence of any past violence or issues with or by the third party in the store. The court also noted that the store satisfied its duties under the law to aid the Plaintiff by calling the police. 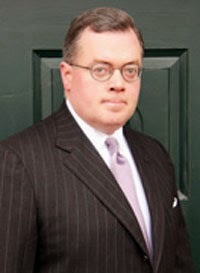 In so ruling, the appellate court noted that the Pennsylvania Courts have held that a business is not required to act as policeman in the face of an ongoing assault within its store and that the store satisfied its duty to aid its business invitee by calling 911 or other professional assistance. The records reveal that, in addition to calling 911, an employee in the store eventually broke up the fight outside the store where a crowd had gathered. Source: “Digest of Recent Opinions.” Pennsylvania Law Weekly (Sept. 12, 2017). In the case of Charlesworth v. Galacci, No. 2014-CV-3390 (C.P. Lacka. Co. Sept. 19, 2017 Nealon, J. ), the trial court in Lackawanna County addressed the merits of a Plaintiff's motion for punitive damages discovery in a dog bite case. Judge Nealon reviewed the Plaintiff's motion for leave of court to gather such discovery on the Defendant's financial worth under the standards set forth under Pa.R.C.P. 4003.7 and the case of Kirkbride v. Lisbon Contractors, Inc., 555 A.2d 800, 803 (Pa. 1989). The court ruled that the Plaintiff made a proper prima facie showing of a valid punitive damages claim in support of the request for the discovery order. As such, the request for financial worth discovery was allowed. The court also looked past the fact that the Plaintiff's motion was filed after a Certificate of Readiness had been filed. While the court noted that, generally speaking, requests for discovery after the filing of a Certificate of Readiness are frowned upon, in this case the Defendants had also conducted discovery after the filing of the Certificate. Moreover, the court also noted that it found no prejudice to the defense in allowing the discovery as the requested information was relevant to the jury's consideration of potential punitive damages to possibly be awarded. While discovery of the Defendant's financial worth was allowed, the court did order that any information disclosed must be kept confidential and could only be disclosed as may be necessary for trial purposes, including the provision of such information to expert witnesses. In the case of Garlick v. Anadarko Petroleum Corp., No. 4:12-CV-01166 (M.D. Pa. Aug. 15, 2017 Brann, J. ), Judge Matthew W. Brann of the Federal Middle District Court of Pennsylvania granted summary judgment in favor of the defense in a case where the Plaintiff's decedent was involved in a nighttime accident while following directions provided by another. 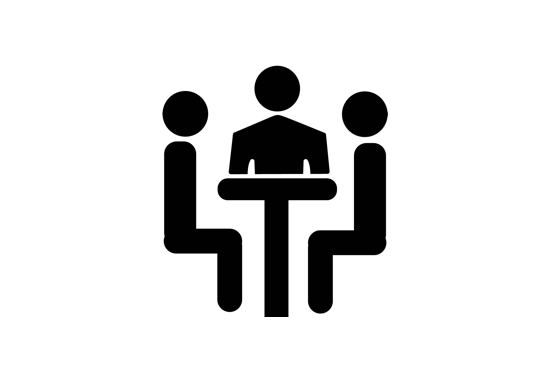 The court reasoned that a defendant cannot be liable under the Restatement (Second) of Torts §323 pertaining to a negligent undertaking with respect to providing driving directions to the Plaintiff’s decedent. The court noted that providing direction to another person does not create an undertaking to do anything more such as a erecting directional signs on public roads or other steps. 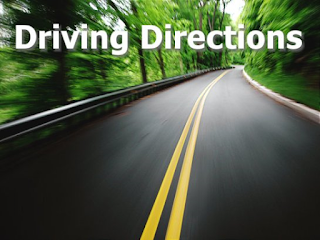 The court also noted that there is no duty to provide the safest route possible. In the bad faith decision of Doherty v. Allstate Indem. Co., No. 15-05165 (E.D. Pa. April 6, 2017 Pappert, J. ), the court granted the carrier summary judgment in a claim arising out of allegations of poor investigation and claims handling by the carrier. The case arose out of a landlord property insurance policy issued to an insured who owned multiple rental properties leased out to college students. In a lengthy Opinion in which the court summarized the current status of bad faith law concerning investigation and claims handling claims, the court granted summary judgment finding that there existed no clear and convincing evidence that the insurer acted in bad faith. Rather, the court found that the record made clear that the carrier’s delays were instead attributable to mistakes and possible confusion on the claim, along with, in part, the insured’s obfuscation and refusal to cooperate with the claims representative in the investigation into the claims presented. The court otherwise opined that the record revealed that the carrier conducted adequate investigation and had a reasonable basis for denying any coverage. The court noted that any delays on the part of the insurer were attributable, in part, to the insured’s repeated failure to provide information necessary to open a claim. In the case of Jones-Silverman v. Allstate Fire & Casualty Ins. Co., No. 17-1711 (E.D. Pa. July 31, 2017 Baylson, J. ), the Eastern District Federal Court denied a carrier’s Motion to Bifurcate a Plaintiff’s UIM breach of contract and bad faith claims. The court found that the required evidence of each of the claims overlapped such that a bifurcation would amount to a waste of judicial resources. The court also noted that, even if the parties settled their breach of contract claim, the insured could still pursue a bad faith claim based upon a theory of undue delay and claims handling. Accordingly, the court found that the potential resolution of the breach of contract claim did not necessarily render a bad faith claim moot. 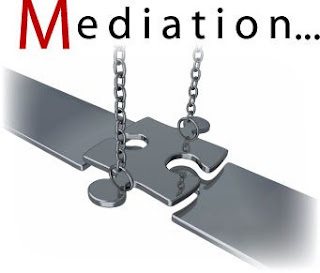 The court otherwise ruled that it was equipped to address any issues of prejudice to the UIM carrier that may arise through the normal rules and procedures of litigation if the case was not bifurcated and a single trial was allowed. As such, the court denied the carrier’s Motion for Bifurcation. Anyone wishing to read this case online may click this LINK. In the case of Hughes v. Wilkes-Barre Hospital Company, N. 2016-CV-6463 (C.P. Lacka. Co. Aug. 14, 2017 Nealon, J. 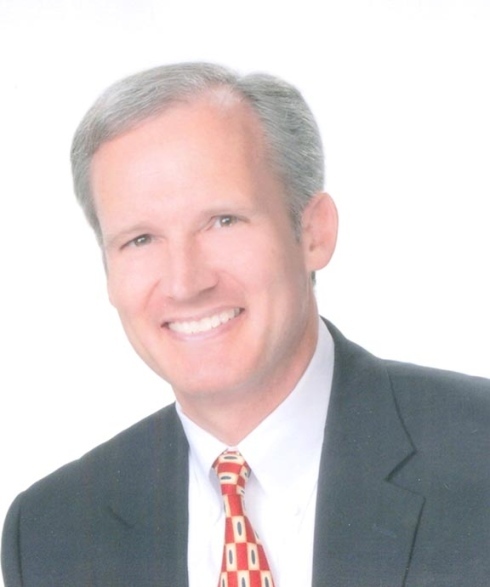 ), Judge Terrence R. Nealon of the Lackawanna County Court of Common Pleas addressed several issues in a medical malpractice action including issues of allegedly improper venue, corporate negligence theory, agency law questions, and punitive damages issues. Of note, the court found the venue was proper in Lackawanna County based upon the existence of proper venue over the Lackawanna County Hospital and given the Plaintiffs’ assertion of joint and several liability against all named Defendants. The court additionally found that the Plaintiff stated valid causes of action for corporate negligence against the hospital Defendants along with valid claims for vicarious liability based upon the ostensible agency standard set forth in the MCARE Act. 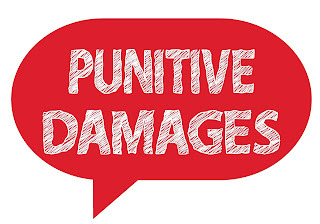 The court also reviewed the validity of claims of punitive damages pled in the case in form of allegations of recklessness and wanton conduct. In the case of Crespo v. Hughes, 2017 Pa. Super. 230 (Pa. Super. July 18, 2017 Ransom, Penella, Shogan, J.J.) (Op. by Ransom, J. 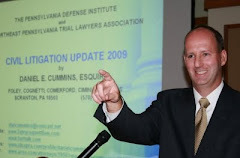 ), the Pennsylvania Superior Court addressed several civil litigation trial issues. In this decision, the court confirmed that liability for loss of future income is established by evidence of shortened economic horizons, not actual income. Relative to the loss of future earnings claim, the appellate court also affirmed the trial court's exclusion of the plaintiff's alleged marijuana use as well as his alleged failure to pay child support. The court agreed that any probative value of this evidence with respect to the wage loss claim was outweighed by the danger of unfair prejudice. 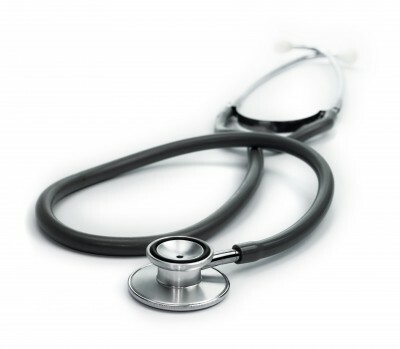 On a medical evidence issue, the Superior Court noted that a treating physician could give factual evidence of causation even without filing an expert report where that information was included in the doctor’s treatment notes. On another evidentiary issue, the appellate court confirmed that a conviction for receiving stolen property is crimen falsi crime that was admissible against the Plaintiff under Pa. R.E. 609). Anyone wishing to review a copy of this decision may HERE. No advice may be as difficult to heed than the caution to keep your enemies or adversaries close. One way to deal with such "enemies," or all adversaries for that matter, is to keep them close by knowing the facts and the law of the case better than your adversary does. By having a full understanding of the facts and knowing the applicable law and rules of procedure at the commencement of a case, one can more effectively control a vexatious opposing counsel and move the case forward to its inevitable conclusion, whatever that may be. It is important to also remember that a case can only move forward by keeping opposing counsel close through continued communication. 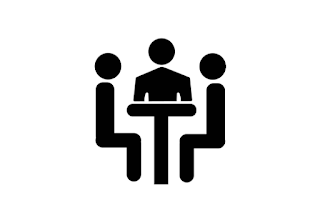 As aggravating as opposing counsel may become in such dealings, it is best to remain in control of your own emotions, ignore their shenanigans, and hit them with kindness, good humor and rational explanations supporting your position. Always confirm everything in writing with these types of attorneys as a further method to keep them under control. Again, a positive way to view such a situation of having to deal with a needlessly difficult opposing counsel is to remember that each communication will move the parties one step closer to the eventual resolution of the case, at which point you will no longer have to deal with that attorney.